Below is a list of most of the treatments we offer. This page is meant to help the patients who are going to have one of these procedures be prepared. 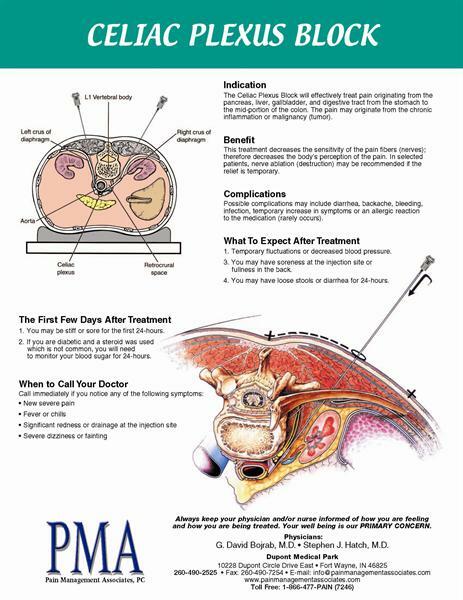 If you are going to have one of the treatments, scroll down to find what to expect the first few days after the treatment. If you would like to know more about the treatment, talk to you a professional at Pain Management or click on the link to take you to an outside source. 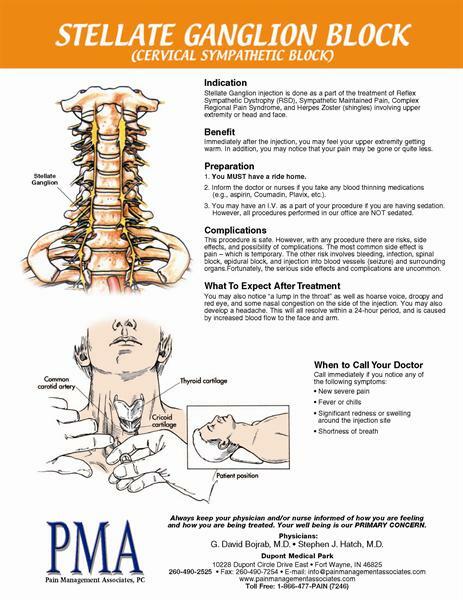 We offer helpful information on neck pain treatment, back pain treatment, and more. Always keep your physician and/or nurse informed of how you are feeling and how you are being treated. If you think any of these treatments could help you, contact Pain Management, Fort Wayne's premiere pain management facility. Your well being is our primary concern. You may be stiff or sore for the first 24-hours. If you are a diabetic and a steroid was used which is not common, you will need to monitor your blood sugar for 24-hours. We advise the patients to take it easy for a day or so after the procedure. You may need to apply ice to the affected area for 20-30 minutes at a time for the next day. 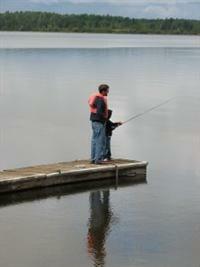 Perform the activities as tolerated by you. We usually recommend taking 2-3 days off work after the injection. The injections may cause a flare-up of back pain after the injection, but this gets better in a day or two. You must have a ride home from the procedure. An injection to reduce inflammation takes up to five days to reach maximum effectiveness. Monitor your blood sugar if you are diabetic. Don't exercise vigorously. Rest if needed, but get up and move around after sitting for a half an hour. You must have a ride home from the procedure. Significant redness or swelling around the injection site. An injection to reduce inflammation takes up to five days to reach maximum effectiveness. Monitor your blood sugar if you are diabetic. Don't exercise vigorously, but perform some light activities that usually cause pain to assess the effectiveness of the block. You may have some soreness at the injection site or fullness in the back. You must have a ride home from the procedure. You may have increased pain for 24-48 hours. You may have some soreness at the injection site. Monitor your blood sugar if you are diabetic. Don't exercise vigorously, but perform some light activities that usually cause pain to assess the effectiveness of the block. You must have a ride home from the procedure. WARNING : If you experience excessive shortness of breath or panting call 911 or report to the nearest emergency room. You may experience increased warmth of the lower extermity. 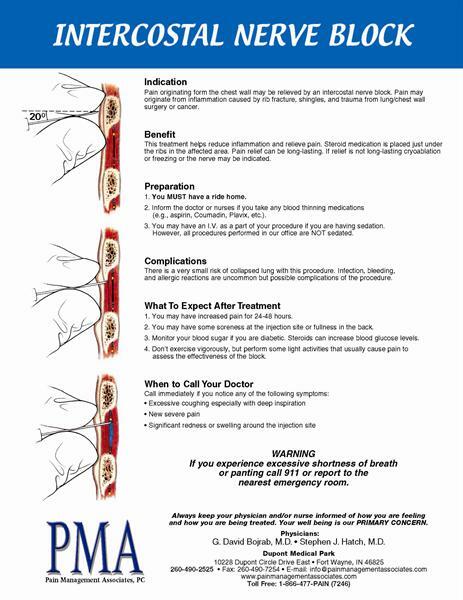 You may feel some numbness or tingling of the lower extremity, backache, and/or muscle spasms. You must have a ride home from the procedure. You will experience a tingling sensation and muscle twitching. We always test nerve prior to the lesioning, so expect muscle soreness for a few days after the procedure. Your pain may be gone in 6-8 weeks. You must have a ride home from the procedure. You may have increased pain for 24-48 hours. You may have some soreness at the injection site or fullness in the back. Monitor you blood sugar. Don't exercise vigourously, but perform some light activities that usually cause pain to assess the effectiveness of the block. You must have a ride home from the procedure. You may notice a lump in the throat as well as hoarse voice, droopy and red eye, and some nasal congestion on the side of the injection. You may also develop a headache. These will all resolve within a 24-hour period. You must have a ride home from the procedure. You may experience temporary fluctuations of blood pressure. Your legs may feel weak or numb. You may have some soreness at the injection site or fullness in the back. You must have a ride home from the procedure. 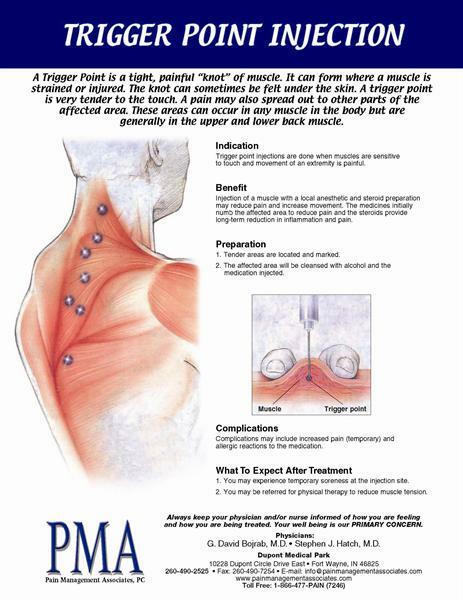 A trigger point is a tight, painful "knot" of muscle. It can form where a muscle is strained or injured. You may experience temporary soreness at the injection site. You may be referred for physical therapy to reduce muscle tension. 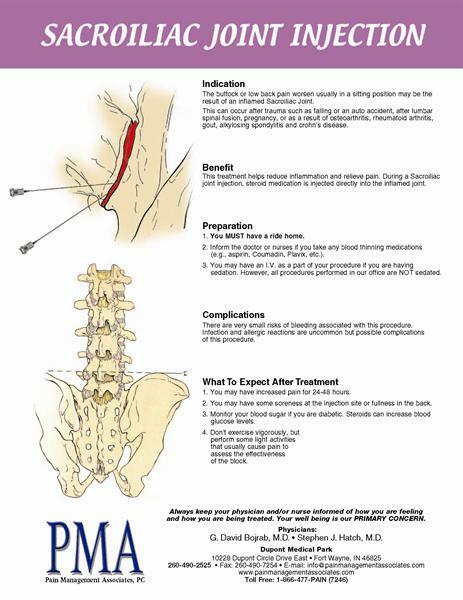 Epidural injections use a veriety of substances including local anesthetics (numbing medicines) and steroids (cortisone-type drugs) to block pain cycles and decrease inflammation around irritated discs and nerves in the spine. They can be tremendously beneficial in patients with continuing spine pain and herniated disc disease. They at time provide only temporary benefit, but can assist in a comprehensive program for managing spine-related pain. 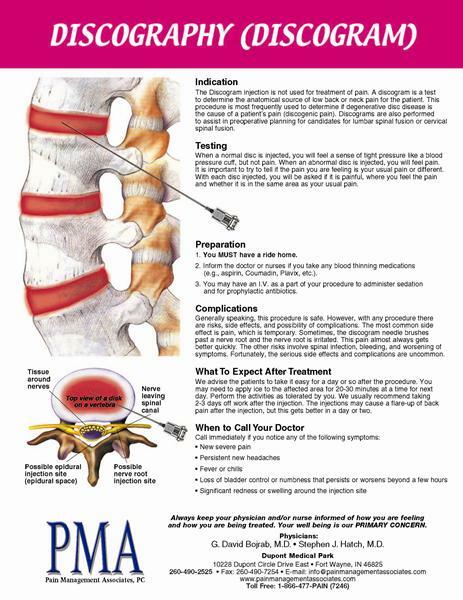 If you think this treatment could help you, contact Pain Management, Fort Wayne's premiere pain management facility. Nerve blocks are frequently used by pain management specialists to diagnose and treat different pain problems. Different types of blocks involve local anesthetics and steroids to block pain pathways and break the pain cycle. These medications are extremely effective in the proper patients. If you are having continuing nerve pain and think this treatment could help you, contact Pain Management, Fort Wayne's premiere pain management facility. Radiofrequency Ablation has been around for many years. The technique has been adapted to treat all types of pain, ranging from chronic neck pain to low back pain. The technique uses finely directed heat to ablate the painful nerves. Very little tissue damage is done and the pain relief can last several months. 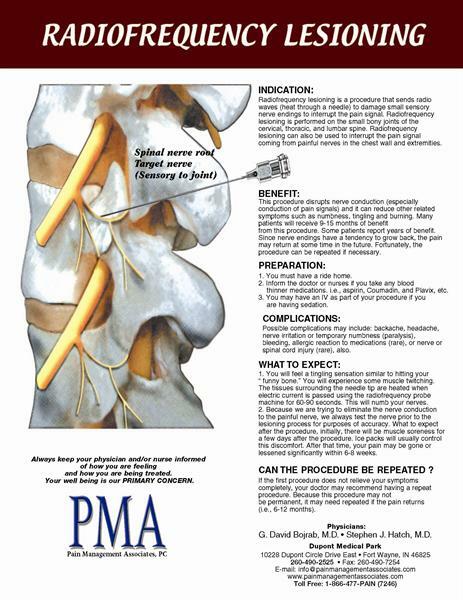 Because the procedure is minimally invasive, it can be repeated if the pain returns. 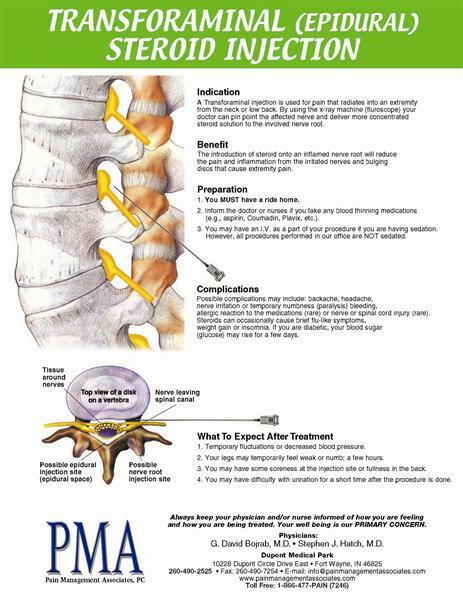 If you think this treatment could help you, contact Pain Management, Fort Wayne's premiere pain management facility. For the treatment of chronic, spinal cord stimulation includes the stimulation of the spinal cord or peripheral nerve by tiny electrical impulses. 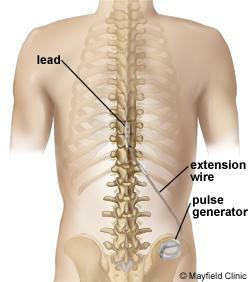 An implanted lead empowered by an implanted battery is placed near the spinal cord. The stimulation is adjusted to fit the needs of the patient via an external programming device. The implanted device may be felt as a small bulge under the skin, but does not normally show through clothing. For more information, visit the Boston Scientific website and talk to your Pain Management professional. 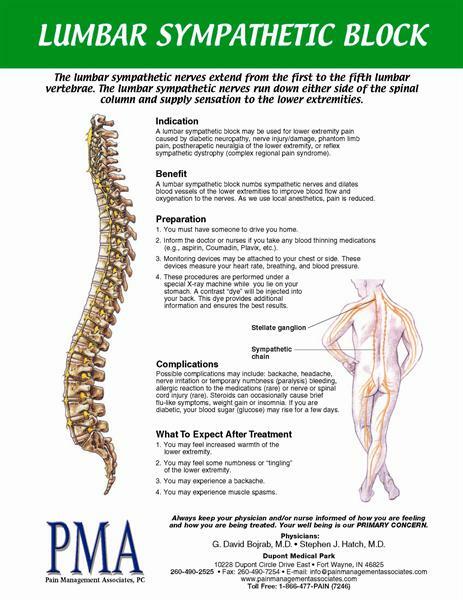 Also, read the October 2007 PMA newsletter to find out more about spinal cord stimulation. 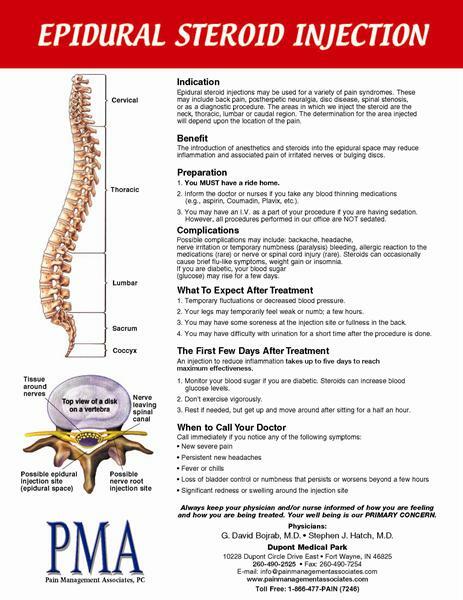 If you think this treatment could help you, contact Pain Management, Fort Wayne's premiere pain management facility. A synvisc injection treats arthritis of the knee. It is used only after normal drug medication has failed to provide relief. Durng this treatment, synvisc is injected into the affected knee or knees several times over scheduled intervals. 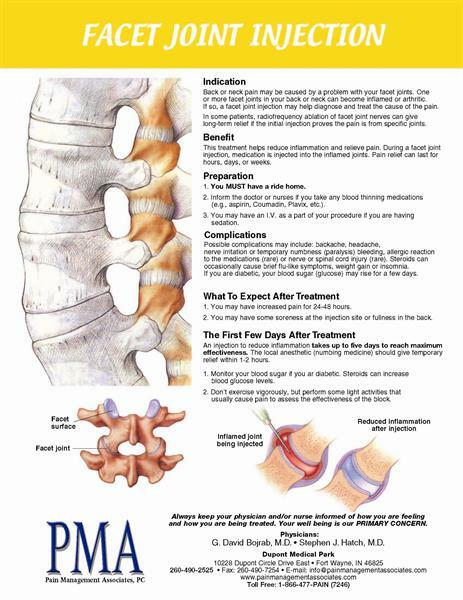 If you think this treatment could help you, contact Pain Management, Fort Wayne's premiere pain management facility.